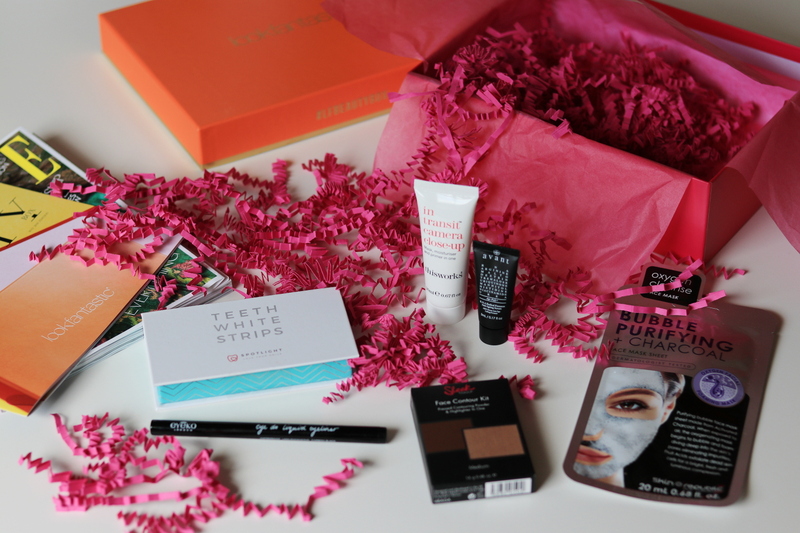 I know I’m really late to the party, but I truly wanted to talk you through my favorite makeup items of 2017. Last year was pretty eventful makeup-wise, I started loving colorful eyes and maybe a little less eye-catching lips. But fear not, we will discuss every single item that really deserves your attention. The Makeup Revolution Flawless 4 palette is my absolute favorite when it comes to catchy eyes. 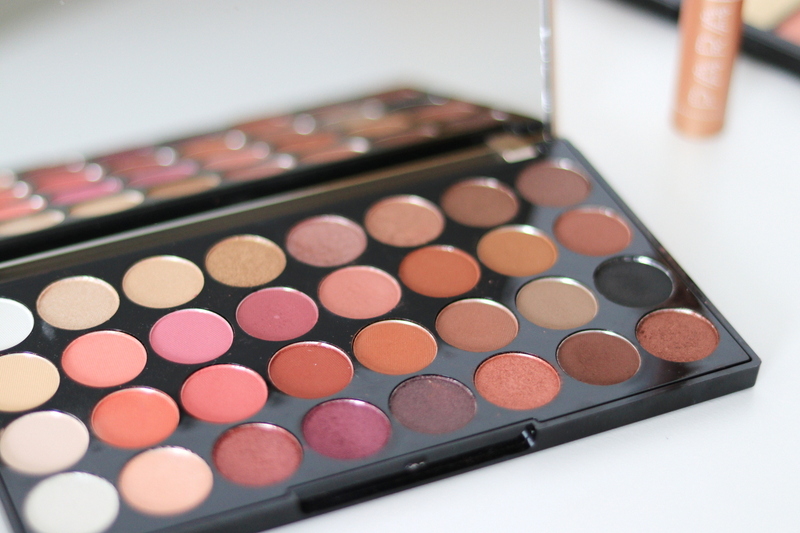 This is a very versatile eyeshadow palette, the shades ranging from matte and shimmery neutrals through colorful orange, pink and red shades all the way to deep nudes and black. I mean, is there any other shade you need in your daily life? And their wear-time is amazing, they blend beautifully and have a great pigmentation. And all that for just a little under € 13! 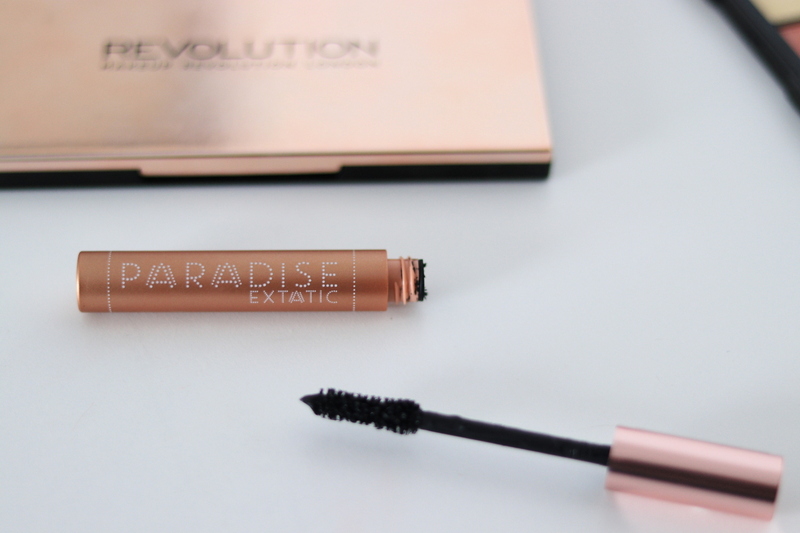 Another eye product that I surprisingly haven’t mentioned so far is the L’Oréal Paradise Extatic mascara. I love how thick my eyelashes look after just one coat, but can be slightly clumpy – I actually prefer a slightly edgy look, but not everyone enjoys it. This is my second tube in 7 months and there could be various reasons for that. 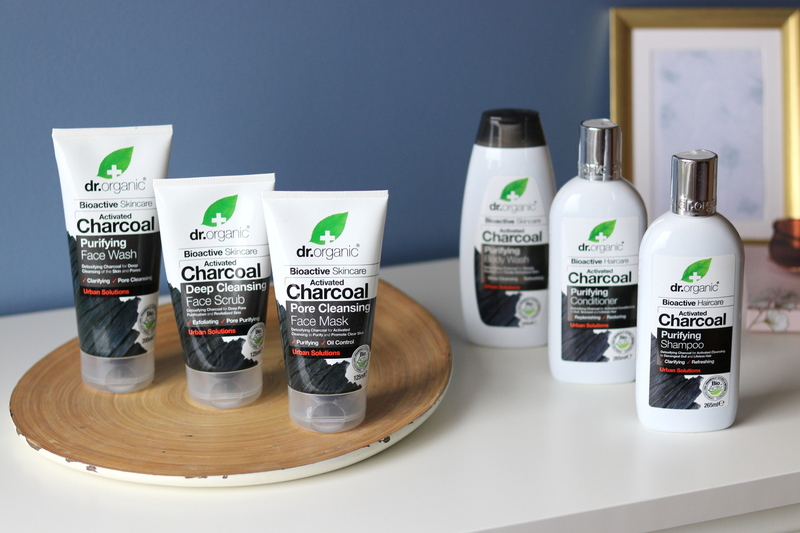 1) I like it so much that I go through very quickly, or 2) which is probably the real reason that I discussed on Instagram with Ana, a lovely blogger behind the Mad about red blog. She did a small investigation and actually discovered that there is a very small amount of mascara in the tube compared to other brands or even other L’Oréal mascaras (9.1 ml)! However, I’ve done a research of my own and it’s not that bad as there are other mascaras that have around 8 ml of the product for the same price. Nevertheless, the mascara costs around € 15, which is not a negligible amount of money, but you can occasionally get it on sales in Slovenia. As I said, I was not that keen on buying or wearing that many lipsticks last year. I simply have so many that I only cycle between a few that I really enjoy (such as Ruby Woo by Mac or Matt Confident by Milani). However, there are two items that really surprised me. 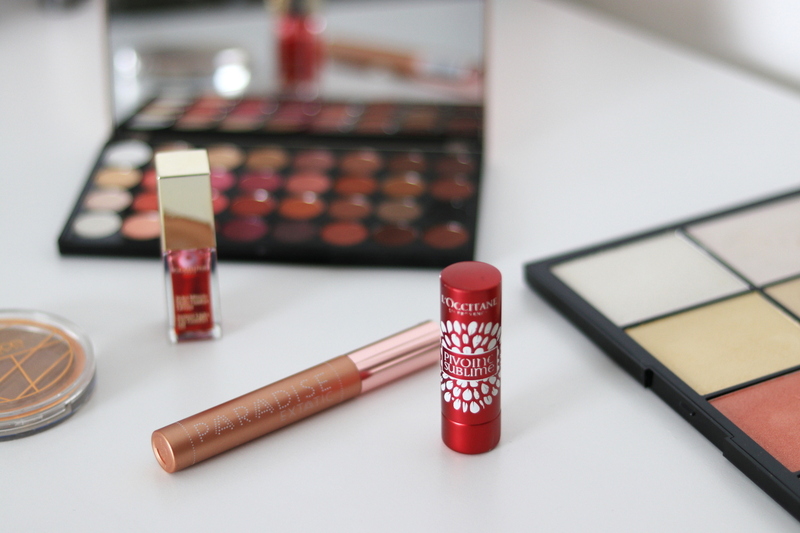 The first is the Clarins Instant Light Lip Comfort Oil, a very thick lip gloss that is so satisfying on the lips! It comes with a big doe foot applicator that covers the whole lip with just one stroke. It has a very glossy finish and I love that it doesn’t wear off quickly. The red undertone is just slightly visible, so it is perfect to intensify the natural color of your lips. 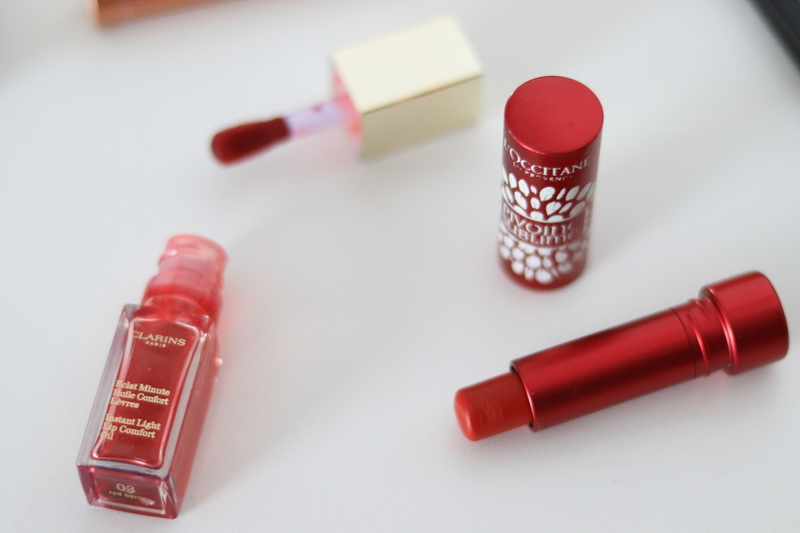 The second one, however, is the L’Occitane Pivoine Sublime lip balm. They have several shades available, and though I still have a fair amount left, I think I will also go for the orange one in the spring. Again, a perfect lip balm that adds some color to your lips, but feels amazing and moisturizing. Last but not least, I have two makeup items for the cheeks that really marked my 2017. 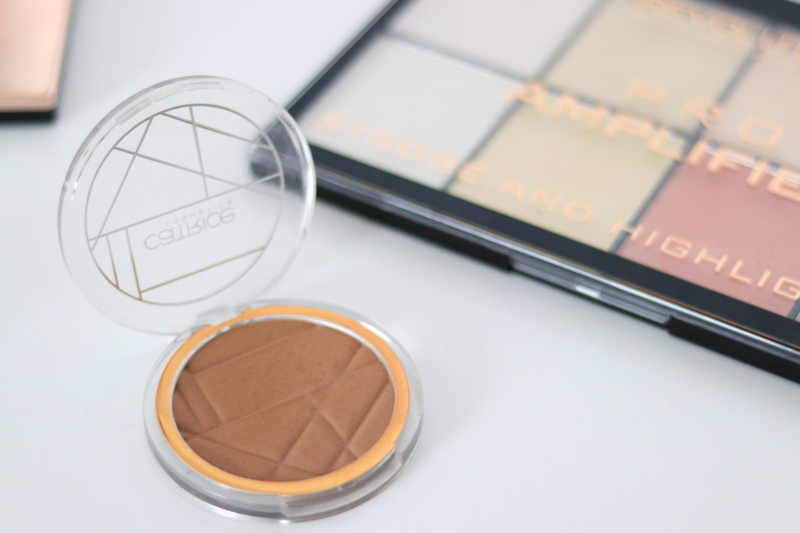 The first is the Sun Stripping Bronzer by Catrice, my favorite bronzer since the moment it came into my life. I’ve been using it religiously since August and you can see the lines have not faded at all! I haven’t reached for any other bronzer for months and I’m super sad that it was only part of their summer limited edition. The second palette that took my heart is the Makeup Revolution Pro Amplified Strobe and Highlightning Palette. 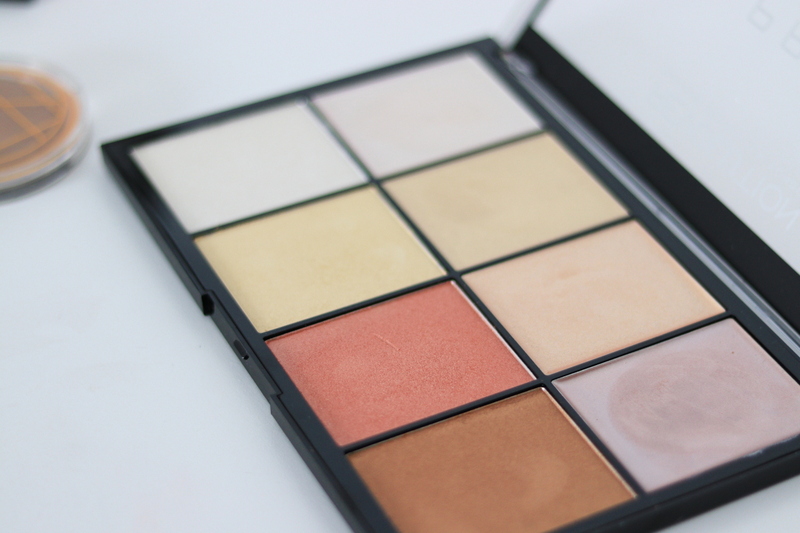 This is the most perfect set of four pressed and four creamy highlighters. They have the prettiest sheen ever and look amazing on the face. I love the creamy ones, I apply them with a sponge and they just melt together with the foundation.